Sunday at approximately 2:51 p.m., West Yellowstone Police Department Dispatch received a call from a local snowmobile rental company reporting a snowmobiler who was stuck in a deep narrow canyon somewhere west of West Yellowstone. 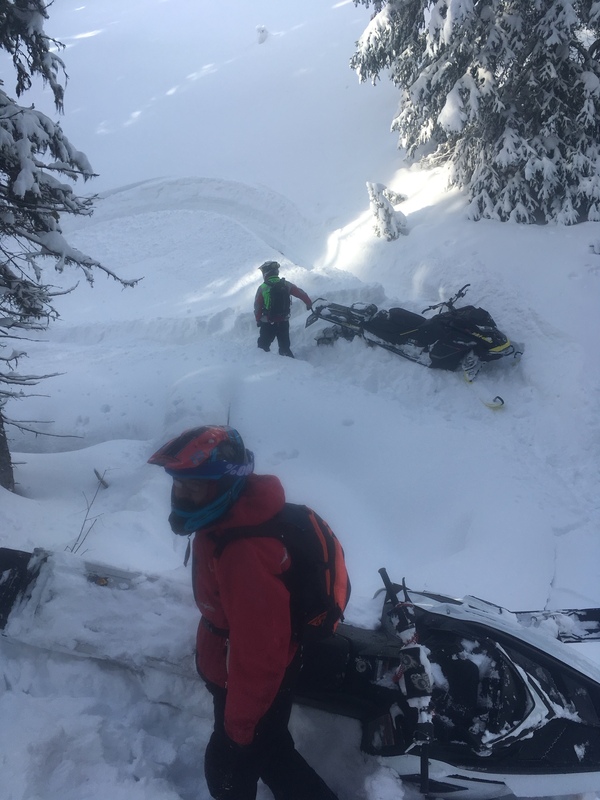 A Gallatin County Sheriff’s deputy was able to make contact with the stuck snowmobiler, a 20-year-old man from Minnesota, and request that he call 911 to get accurate coordinates of his location. The snowmobiler indicated that he had tried for several hours to escape the narrow canyon but the slope began to slide as he attempted to climb it. Rescuers from the Sheriff’s Search and Rescue in West Yellowstone, Yellowstone National Park, and the Forest Service responded to assist with the rescue. By 8:30 p.m., rescuers made it to within ½ mile of the snowmobiler’s location but were forced to turn back due to darkness combined with the extremely difficult terrain and snow conditions. The stranded snowmobiler had a fire, food, water and cold weather gear so the decision was made to send another team in the morning. Monday at 9:55 a.m. rescuers again made contact with the snowmobiler, who was in good health and uninjured. The deep unstable snow conditions and fresh snow made it extremely difficult for the rescuers to reach the stranded snowmobiler but they were successful and the stranded snowmobiler was safely escorted back to West Yellowstone. Meanwhile, at 10:04 a.m., West Yellowstone Police Department Dispatch received a call about a snowmobile crash that had just occurred on the West Entrance Road approximately 1 mile west of town. The snowmobiler, a 24-year-old man from California, had sustained a leg injury due to being pinned against a tree by snowmobile he was riding. Rescuers from the Sheriff’s Search and Rescue in West Yellowstone, Hebgen Basin Fire Department, and the U.S. Forest Service responded. Rescuers located the injured snowmobiler and quickly loaded him onto a rescue sled before transporting him to a waiting Hebgen Basin Fire Department ambulance. The ambulance then transported the man to the Big Sky Medical Center for evaluation. Gallatin County Sheriff Brian Gootkin would like to remind snowmobilers that it is critical to prepare for an unexpected stay outdoors by carrying the proper survival gear, a reliable communication device, and a means to start a fire. Because the Minnesota man had those things, he could spend the night safely. Sometimes nature prevents even SAR from getting where it needs to go, so be prepared to wait.